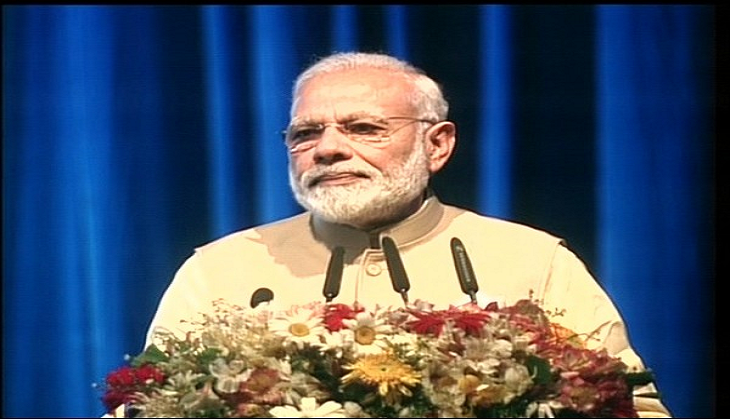 Indian Prime Minister Narendra Modi on Friday inaugurated a Rs 150 crore super-speciality hospital in Sri Lanka built with India's assistance in Dickoya, home to a large Tamil community who are of Indian-origin. Modi, who is on a two-day visit to the country, took a tour of the hospital soon after the inauguration in the presence of medical staff who showed him around the premises. "Health and wellbeing of people of Sri Lanka - a shared priority. PM Modi inaugurates Dickoya Glengairan Hospital in Central Province," said Gopal Baglay, Spokesperson with the Ministry of External Affairs. Sri Lankan President Maithripala Sirisena was also present at the function. Dickoya, famous for tea plantation, is home to Tamil speaking Indian-origin population. This is Modi's second visit to Sri Lanka in two years. He arrived here on Thursday primarily to attend the International Vesak Day celebrations and his visit is aimed at reinforcing the traditional connect between India and Sri Lanka.